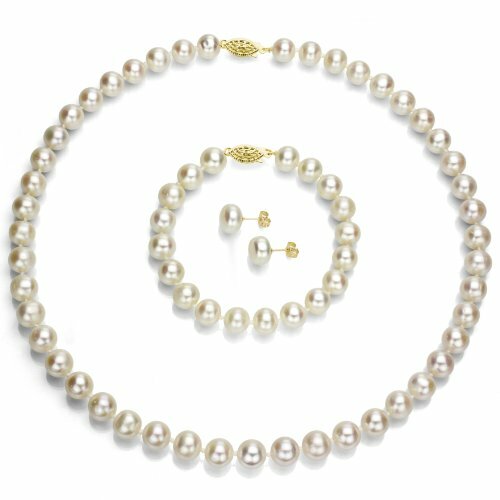 This is A Beautiful 14k Yellow Gold White Freshwater Cultured Pearl Necklace 18" Length, with a Matching 7" Length Bracelet and a Button Shape Stud Earrings Set. We Carry Different Metal Type, Different Color of Pearl, and Different Size Per Pearl. Please Contact Us if You Do Not See What You Want. Perfect for Any Occasions.